Blockchain– The Tech Celebrity of the 21st century had its full-blown publicity with the emergence of Bitcoin. And with Bitcoin gaining popularity, Blockchain App Development has become the talk of the moment in the Mobile Apps Space. Be it News or Social Platforms. The Trending Topic of Blockchain has managed to create a buzz in every dimension including Mobile App Development. But the mighty Blockchain is not all about Bitcoin. It didn’t take long for Leading Tech Companies in the Software domain to realize the scope of Blockchain beyond cryptocurrencies. And they are embracing this opportunity with open arms to boost up both their existing as well as new businesses. Even Startups based on Blockchain are drawing in massive Funds and Investments. Starting with $945 million in 2017, the Blockchain Market Spending is estimated to reach a whopping $9.7 billion in 2021. IDC predicts that a 42.8% growth in Blockchain per year until 2022. Microsoft has launched an enterprise blockchain quite recently. Apple, the mobile giant has filed a petition which hints at its future plans with Blockchain. 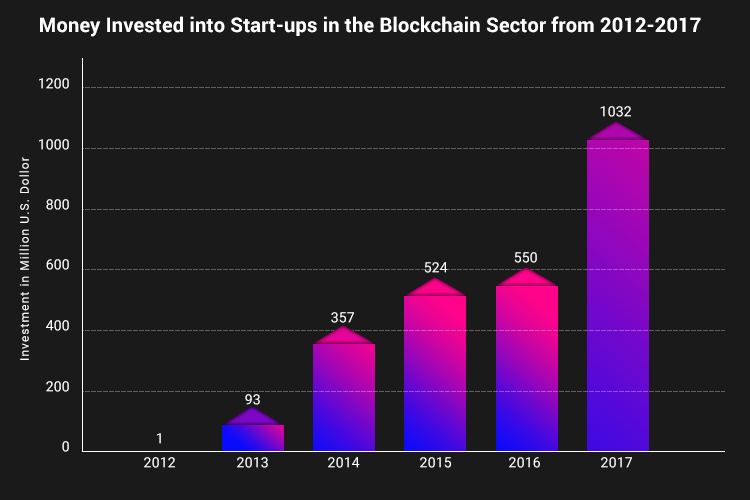 According to Statista, the amount of money invested in the Start-Ups in the Blockchain Sector almost doubled up from 550 million dollars in 2016 to 1032 million dollars in 2017. Steadily and eventually Mobile App Developers have also started comprehending the promise Blockchain holds in the world of App Development. Which I must state is tremendous. There lies a whole new arena of technological specifications in Blockchain that can Revolutionize Mobile Apps. No matter what Market Niche your App belongs to( From Healthcare to Finance). Marrying Blockchain with your App will surely reap you incredible benefits. And this holds true for whether you are developing your App for iPhone or Android. But you should always keep one thing in mind that even if your App is centered around Blockchain it won’t achieve success until and unless you carry out proper Market research and marketing of your App. Any organization or business that requires recording and/or sharing of digital data through their App can benefit from implementing Blockchain in their mobile Apps. And a specialist Blockchain Development Company like ChromeInfotech can help you with that. We, at ChromeInfotech boast of a team of talented and skillful Blockchain App developer that can certainly help you and your App to fully utilize the outstanding benefits of Blockchain. Right from developing an MVP development of your App to your App’s Maintenance, We will be there with every step of the process. We as Blockchain Application Development Company value and respect your ideas and nourish them with care to develop state of the art and cutting edge Mobile Apps that will appeal to the masses. In what ways can you implement it into your existing or new Mobile App? Let me mention here that Developing a successful mobile app is already not an easy job. And Blockchain App Development will definitely be a bit more challenging than the traditional method. This blog is written with the intent to answer these questions and determine the common ground between Blockchain Technology Development and Mobile App Development. What are the components of Blockchain And How does Blockchain Work? Which principles make Blockchain the perfect fit for Mobile App Development? What is the Scope of Blockchain App Development? How to implement Blockchain technology Development into Mobile Apps? How Blockchain app development Company builds Blockchain empowered Apps? In simple terms, Blockchain is a decentralized and distributed ledger(file) that records and tracks digital information/Assets indefinitely and permanently. Basically, anything of value can be recorded, tracked and traded through the Blockchain Network. How did it all Began? Believe it or not, but the Concept of Blockchain was born long before Bitcoin came into the scenario. Initially, Blockchain had its roots in Computer Science- Mainly confined to Cryptography and Data structures. But back then it was just a theoretical perception. It wasn’t until 2008 that Blockchain as technology was conceptualized and made its debut along with Bitcoin. Bitcoin-A cryptocurrency was the first real application that was built on the foundation of Blockchain. And Satoshi Namakato is the one to thank for this jewel of technology. He was to one who created and released a white paper on Bitcoin. And it was for the first time that Blockchain got acknowledged on a global platform. Thus the Blockchain that we know today was born. There are several applications of Blockchain and Bitcoin is just one of them. So please do keep that in mind before you start exploring about Blockchain. Blockchain may seem like something that is unreal and which only makes sense in those awesome tech savvy movies. This is why Mobile App Creators sometimes prefer to keep their distance from Blockchain. Although Blockchain is a remarkable technology, it is not exactly Rocket Science. It is a simple process incorporating some fancy terms and elements. So given below is a summary that will provide you with a much clearer perception about the working of Blockchain. Ingredients of Blockchain and How does it work? I know that choosing a Blockchain App to represent your Business might sound a bit terrifying. And to be honest every new task at first sounds horrifying. Even something as basic as React native App Development will make you feel butterflies in your Stomach. But after getting insights into all the components of Blockchain and its working,Blockchain app development won’t seem to be a bad idea. Whether you hire an android mobile app developer or an iOS developer who specializes in Blockchain App development, you must be well aware of the aspects of Blockchain. The following are the constituents of the Blockchain Network and How they work together in the Network. Hash Value is a fixed length string of numbers and letters. And it produced by using an algorithm known as Hash function. You can think of hash value as the digital fingerprint for files. It is unique to every file and even a minute change will lead to a complete different hash. Why and How is it vital to the working of Blockchain? Let’s imagine that there exists a file. It records every transaction that occurs between two people. Each transaction record is stamped by a hash value and is connected to the hash of the previous transaction. This implementation of Hash values leads to Immutability of the records. Because to do so, one has to trace back and change the Hash values of all the preceding records. Which, let’s be honest no has the resources and time for. 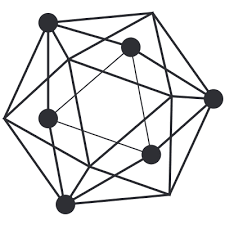 Nodes are the connecting points that are the essence of the Blockchain Network Architecture. It refers to every computer/device that participates in the Blockchain Network. Each node has a copy of the whole file containing every Transaction record. But they can only visualize the Records and do not have access to modify it. What role to these Nodes play in the Blockchain Network? Once a transaction is carried out, it needs to be approved. But since Blockchain is devoid of a central Body. This job of Verifying and authorizing all the transactions in a Blockchain network is the responsibility of the nodes. They collectively vote regarding the authenticity of the Transaction through some electronic means- A process known as Consensus. If the majority of the nodes agree upon the validity of the transaction, then it gets recorded into the file. The File that contains the transaction records is termed as a Block. Once a block reaches a maximum number of approved transactions, a new block is formed. 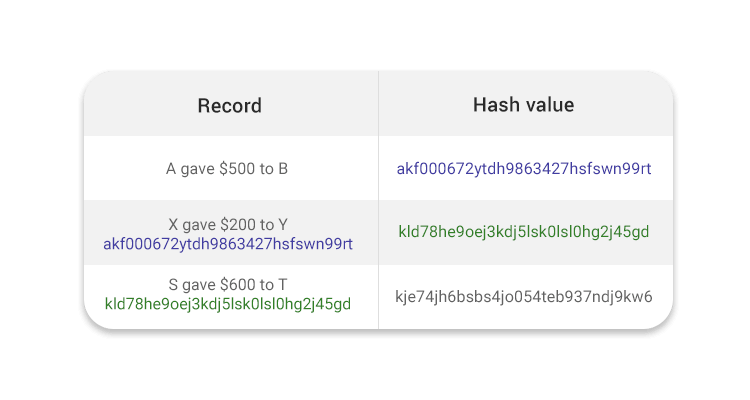 Hash value of the earlier block. This is how all the blocks are chained together to each other. And hence the name Blockchain. A registry of such blocks of a particular Blockchain Network can be viewed using various online Platforms. These Platforms will provide you with detailed real-time information about the blocks,the Transactions and their details, digital addresses etc. 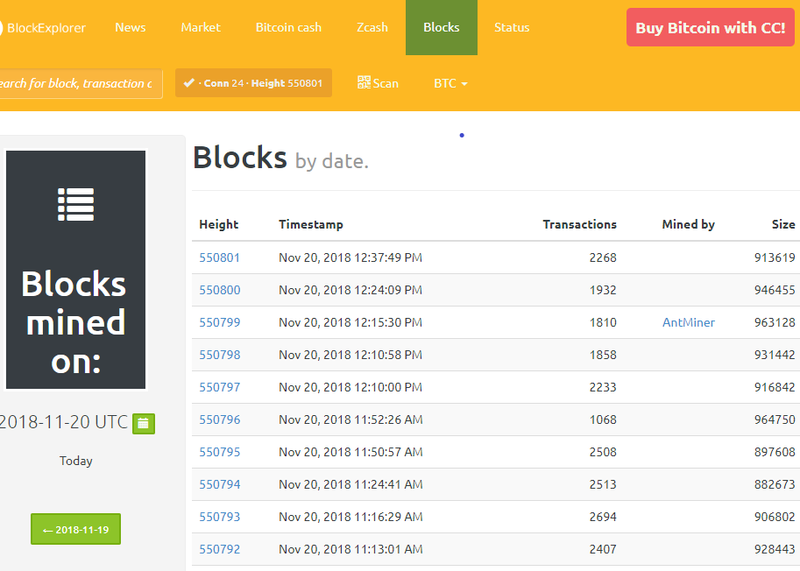 The above shows a list of blocks present in the Bitcoin network. The Blockchain gets updated automatically every 10 minutes. And as soon as a transaction is recorded into a block, it cannot be deleted or changed. Both of these keys are a string of numbers and letters. The public key is meant to be displayed or visible while the Private Key is supposed to be kept Secret and only to yourself. Let’s Suppose that you A) want to transact some digital asset to another person(B). A hash value will be generated for the Transaction sent by you(A). You(A) will then send this signed and encrypted Hashed message to the person(B) along with your Public Key. As soon as this message(Hash) enters the Blockchain network, individual nodes called as Miners will work to prove the validity of the Transaction and add it into a Block. What they do is that they compete to solve a complex mathematical algorithm that is required to generate the Block where your Transaction will be recorded. The first Miner to find the solution broadcasts it to the rest of the miners (nodes). They then verify the solution corresponding to the Mathematical Problem. If the majority of the nodes agree on the Solution, then the Block is placed into the Blockchain Network. Hence your Transaction gets Approved and Recorded into the Blockchain. Once the Transaction is proved to be valid by the Miners and included into a block-The person(B) will be able to decrypt the Hash using the Public Key and receive the Transaction. The process of Cryptography makes Blockchain a secured Technology. You also need to know about the 6 Fundamental Principles of Blockchain. These 6 Principles are the Driving reason behind why Software Companies are so pumped up over the implementation of Blockchain into Mobile Apps. Any of the leading mobile app development companies providing Blockchain services will agree with the above statement. 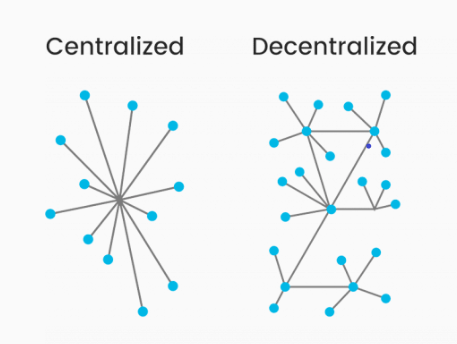 Blockchain is also known as Decentralized Network because it doesn’t consist of a Central authoritative unit. So no single device is in charge of the Data. In fact, all the Data is distributed to every node present in the Network. That is every node possesses a copy of the Blockchain Database. So, a failure in one of the nodes won’t shut down the complete Network. The nodes can communicate directly to each other without the interference or the permission of a Third Party. Everyone involved in the Blockchain is capable of viewing every Transaction and every action taken by the nodes. This is How the Blockchain Network provides Integrity and Trust. Also because of Transparency, no one can Mislead or Fake any information regarding a Transaction. Well, during Transactions all you need are the two Cryptographic Keys- Private and Public keys. The identity of the users remains anonymous. All that one can see is the Transaction amount. No name, no address, no personal information. The damage due to failure or if hacked will be limited to only a single unit without compromising the whole network of Blockchain. Also, the process of Encryption makes transaction very secure. Provided, that you do not share your Private Key with anybody. Once a transaction gets recorded into a block, it becomes static and can never be altered. This is because every record is connected to the preceding ones through their hash values- Making it next to impossible to alter any Data. These 6 aspects of Blockchain are fueling up the Blockchain tech companies to come up with cutting edge innovations for Developing Blockchain Based Applications. So up till now I have focused and talked about Blockchain in general terms. To understand how Blockchain is Impacting the Sphere of Mobile App Development. And that’s precisely what I am about to discuss in the next sections of this blog. The world of Blockchain and Blockchain applications is very diverse and is still expanding. But people generally associate the term Blockchain with Bitcoins. Leading to the misconception that Blockchain and Bitcoin are the same. But as I have already mentioned before- That is not the case. Yes, Blockchain and Bitcoin do correlate to each other. Bitcoin is one of the many applications of Blockchain. The core foundation of Bitcoin is Blockchain Technology. Mobile Apps belonging to a wide range of Domains can also reap amazing benefits from Blockchain Technology Applications. So, as a Mobile App developer, you have no other choice than to come into terms with Blockchain. How to incorporate Blockchain into your App? What type of Apps can benefit from Blockchain? Well my friend, you are at the right place. Because in the below sections, I have laid out various Blockchain based applications and features that you can use to superiorize your Mobile App. How to implement Blockchain Technology Development in your Mobile App? In today’s era the best way to boost up your business venture is through an App. And Trust me! Choosing a Blockchain app to backup your Business is the best decision that you can take. A Blockchain app development company can deliver you an cutting edge and next-gen app that can be a game changer for your Business. Also, always do remember that hiring the right Blockchain specialist software solution providing company also plays a big factor in the success of your App. So always keep this in mind while getting in touch with a technology partner. Blockchain is such a technology that can turn the tables for Apps belonging to almost any domain. But some of the significant Blockchain Applications that you can enforce into your Mobile Apps are explained in this section. Since Blockchain had its beginning through Bitcoin, it is undeniable that the principal application of Blockchain is to send & receive payments. Any App that facilitates In-App payment(Eg: Retail Apps) can incorporate Blockchain based Transaction Solutions. Blockchain is an elixir for the Fintech Industry. It holds exceptional promises to provide solutions to the frequent problems encountered by the Financial & Banking Sector. So why are these Tech Gurus and Blockchain Technology companies so hyped about Adopting it for Payments and Transactions? A transaction that takes place directly between the sender and the receiver. No interference and unnecessary, time-consuming hassle such as Paperwork. No need of spending money as Commission fees or Brokerage Fees. Instant transactions without the need for approvals from third party or intermediates. Much more Safer And Secured Transactions. That’s exactly what you get when you implement Blockchain into Payment Solutions. According to IDC, most of the Market spendings in Blockchain will be lead by the Financial & Banking Sector($754 million in 2018). “Blockchain powered Transactions” = Using Bitcoins or any cryptocurrencies for sending or receiving money. Not everyone relies on the usage of Cryptocurrency for Payments. In fact for an average person, Bitcoin and Cryptocurrencies are very exotic terms. They would rather prefer to stick to the age-old regular Dollar Bills. So what about them? Won’t these people avail the benefits of Blockchain based Transaction solutions? It is now being explored for different forms of Payment involving traditional currencies. Digital currencies have long had a bad reputation of being the “Financial Medium” for terrorists, criminals and frauds. People have started eyeing cryptocurrencies as a valuable financial asset. And they are eager to utilize and spend their digital Currencies. Are you keen to Develop an App that will provide your users with the right channel to spend their Cryptocurrencies? Then read below to know the different ways of How you can incorporate Cryptocurrency Payments into your App. Nodding Yes to the first one? Then you might probably in need of a complex and multi functional cryptocurrency Payment solution. For which you will be required to create your own Crypto Wallet and then integrate it into your App. Crypto Wallet-also known as Cryptocurrency Wallets, are digital wallets that stores your private and public key using which you can send, store or receive cryptocurrencies. Out of these, Mobile Wallets are the most convenient ones since these can be accessed anywhere and at anytime. In fact, most of the Companies using Blockchain Technology suggests and prefers Developing Mobile crypto Wallets over the others. These Mobile Wallets are Mobile Apps that are available on all the popular Mobile Operating Systems. Blockchain: This one of the most popular Bitcoin Wallet and financial Application. Availability: Google Play Store and Apple App Store. 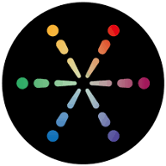 Mycelium: This is also one of the top Bitcoin Apps that is very easy to install and to use. Coinbase: This a Crypto Wallet that you should not miss. This App allows you to sell, buy and store bitcoins, ether and litecoin. So How Do You Create A Mobile Wallet App? Your App will include all of the present available currencies. Let’s consider the process of Creating a Bitcoin Mobile Wallet App. To build your own Mobile Wallet, you can resort to a variety of open Libraries that are on your service to simplify the whole process. The Crypto Wallet- Coinbase provides a platform for other developers to develop their own Mobile Wallet App. Coinbase SDK is Cross-platform JAVA Library that can be used for Python and Ruby as well. It supports development for iOS as well as Android. But sadly, all the features of this platform may not be available in every country. On the bright side, Coinbase SDK can also be used for Litecoin, Bitcoin Cash and Ethereum. BitcoinJ SDK is also a cross-platform library that is convenient especially for Java Developers. You can use it for creating Android and Windows Wallet. 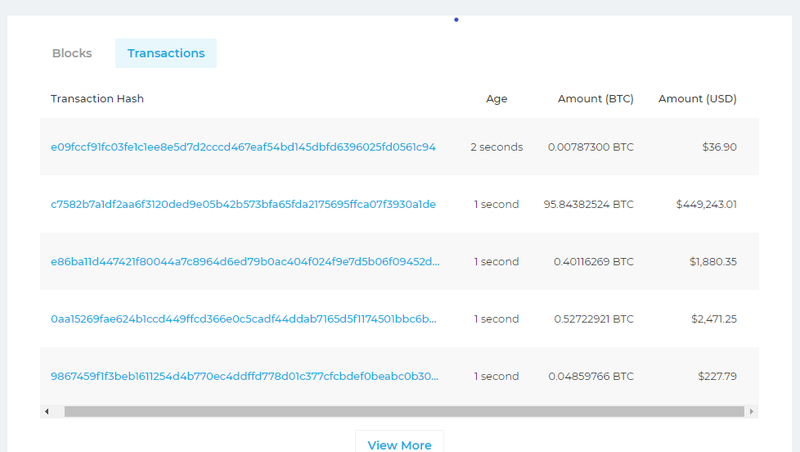 It will provide you a possibility to interact with TestNet3- The official and main Bitcoin Test Network. This method is the easier one out of the 2 options. Although using Libraries is a more convenient option, but every library has its limitations. The libraries may not provide you with specific requirements that are necessary for your Mobile Wallet. So to meet your needs, you have to take the more expensive and complicated path which includes: Creating your Mobile Wallet App from Scratch. Synchronization with the Blockchain network through the installation of APIs. The process of building a Mobile Wallet from Scratch is not an easy one. Especially, if you are not well versed with the technical specifications of Blockchain. So, it is entirely up to you to assess your App’s requirements and your available resources. And then decide on the sensible method to follow. If you think that your App based business does not require intrinsic payment solutions, then you have an easier way out. You don’t need to go through the painstaking process of building your own Mobile Wallet App. Just make use of one of the several ready-made payment services that facilitates payment through Cryptocurrencies. Coinbase Commerce: This payment service provides you with an excellent platter of services. It has been integrated into the e-commerce App Shopify and boasts of a simplified and convenient method of Payments. BitPay: This is a payment service provider based in the USA that accepts Bitcoins as the payment Currency. Coinify Merchant: Conify, the Digital currency Platform has a unit called Coinify Merchant that allows easy transaction of Bitcoin and other cryptocurrencies for e-merchants. By customizing and integrating these payment solutions into your Mobile App, you as well as your users will be able to manage Transactions and Payments easily. Then do give a thought about adopting Blockchain based Payment options into it. Don’t Worry; you can still enjoy the advantages of Blockchain. People are finding out innovative ways to implement this technology into the realm of Traditional Banking Systems and their Apps. Quick and Efficient Cross-border (bank to bank) payments. Traditional Banking Solutions for International Transactions take up a good chunk out of your Time and resources. But thanks to Blockchain, Cross Border Payments have become as quick as clicking your fingers. Santander – the banking giant of Europe, is the first UK bank to implement Blockchain for international payments through a New Mobile App. Out of the 200 Global Banks, 15 % of them expected to involve in commercial Blockchain Solutions by 2017 and with others rapidly following their footsteps, brings the total to 65%. So, it is apparent that Blockchain is all set to disrupt the Conventional Banking Sector. Bitt: This Start up facilitates Central Banks and other financial Institutions to utilize the power of Blockchain. It provides Blockchain based fast and efficient Payment solutions. It also has its Mobile App available both for Android and iOS. BABB: A UK Based Startup, it is yet to receive its Banking License. Once in action, users will be able to open their Bank accounts using the BABB Blockchain Network and access it through the BABB App. Stellar: This Platform is an initiative taken to connects Banks, Payment Systems and people WorldWide with Transactions settling is less than 5 seconds. This is the perfect time to Approach Mobile Software Companies to help you build the Perfect Blockchain Driven Banking and Finance App. There are many Apps out there that require the services and features for exchange/Transfer of various types of assets and Financial Properties. Smart contracts based on blockchain technology is here to make such, agreements easy and hassle-free. These Smart Contracts are self executing contracts abiding by the terms of agreement between both the parties. These are computer programmes written in codes that facilitate secure exchange of money, property, share, and anything of value. Joe bets with Randal 10 BTC that the value of Bitcoin will surpass by 6000$ by 1st November 2018. They both then insured 10 BTC each on a smart contract-the winner taking in a total of 20 BTC. Then they decide on a data feed that will determine the value of BTC. On 1st November 2018, the data feed is enquired, and the contract gets self-executed transferring 20 BTC to the winner. The term “Smart Contract” has been in talks since 1993 but has been associated with Blockchain with the uprising of Ethereum in 2015. What is Ethereum, you ask? Ethereum is an application of Blockchain and is a form of cryptocurrency. Does that mean Etherium is similar to Bitcoin? Well, sort of, But not actually. Yes, both Ethereum and Bitcoin are cryptocurrencies. And are born out of Blockchain technology as an open, distributed and decentralized network. 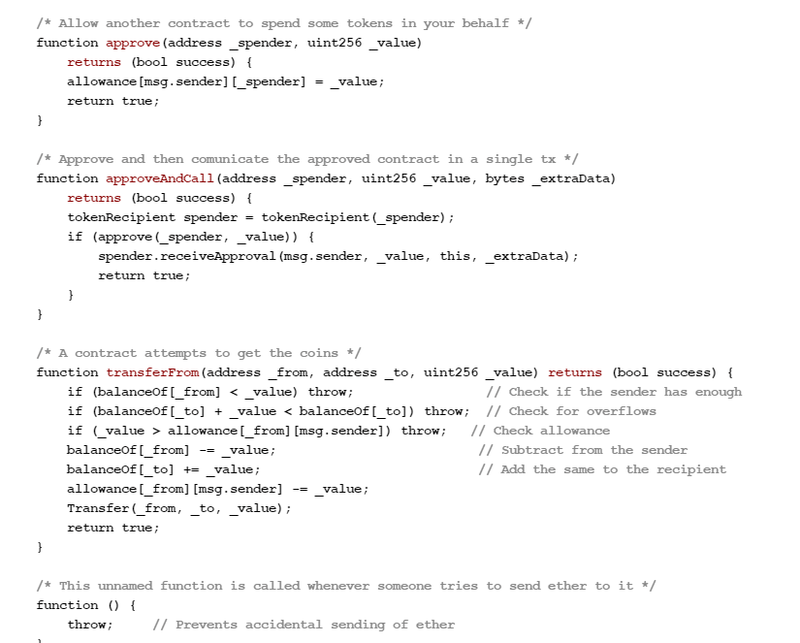 Below is an example of a basic Smart Contract written on the Ethereum Blockchain. Ethereum is just one of the Blockchain Platform that can be used for making Smart Contracts. But it is the most used because of its various processing capabilities. So Why implement Smart Contracts into your App? Provide you Liberty: These do not involve any Intermediates such as Brokers and Lawyers. You are making the agreement. This also eliminates the fear of any manipulation by the Third Party. Speed up the Process: With no requirement of dealing with stacks of Paperwork and Regulations, you can save up loads of Time. Lower the cost: No intermediates mean no extra spending of funds. There are no brokers or Lawyers for you to pay. Are safe and unbreakable: The aspect of Cryptography in Blockchain is the reason behind your Smart Contracts being safe. It cannot be manipulated or hacked. Are Accurate: With no manual handling, smart contracts are devoid of any unusual errors. Planning on Creating an extraordinary Real Estate App? Have you already developed a Real Estate App but you are looking out for ways to make it more outstanding? 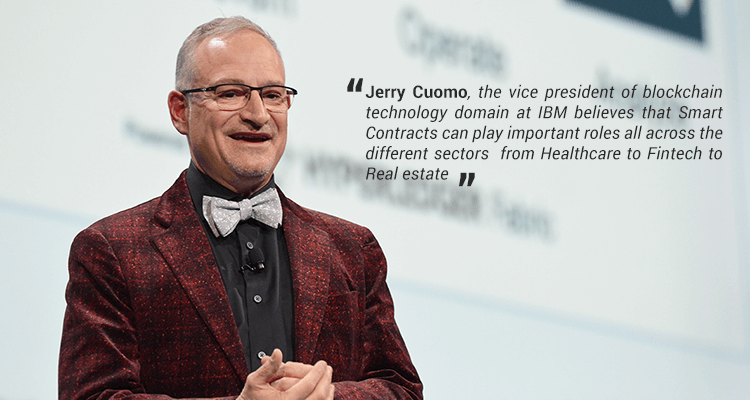 Well, your search ends here because Smart Contracts have already made its way into the Real Estate Domain. You will be providing your users the luxury of bypassing all these stressful situations and make their experience of Real Estate Trading a delight. Another Aspect of Real Estate Apps that can benefit hugely from Smart Contracts is: Property Leasing. Smart Contract can act as Digital Leases which will automatically withdraw money from your Tenant at specified intervals. The first Country to facilitate a property deal through Smart Contracts is Ukraine. Michael Arrington, the founder of TechCrunch, sold land in Kiev using Ethereum based Smart Contract. This was one the first deal completed by Propy– A startup based on Blockchain based Real Estate Dealings. Another example of such an App is ShelterZoom. Many problems are luring in the insurance industry. It has become crucial to come up with more convenient and beneficial Insurance Providing Systems. And since Insurance Policies are nothing but a Written Contract, Smart Contracts can be of great help to the Insurance Industry. When a customer purchase a Policy it gets recorded in the Blockchain Network. This Smart Contract is then synced to the global Air Traffic Database. If your Flight gets delayed by a specific amount of time, your compensation will get triggered automatically. So if you are eyeing the Insurance Industry and Planning on launching your own Insurance based App. Then this is the time to experiment with Blockchain and Smart Contracts. Nexux Mutual: It is the Blockchain Alternative to standard Insurance Policies. The company states that it is the users that will decide upon the Claims. Fidential: This is a Platform that provides its users the freedom to buy and sell their Policies or simply store them in the Blockchain Network. It is appreciable that Smart Contracts are not only limited to Insurances. It also adds value in Loan Applications as well as Wills/Inheritances. Entrepreneurs have come up with innovative ideas for the use of Smart Contracts in their Apps and business. One such example is Slock. It– It is an App that enables its users to rent anything from a bicycle to a house. It works by unlocking a smart lock when both the parties agree on the terms of the Contract. The Things in IOT refers to any physical device- Be it a car, a watch, refrigerator or some other object. These become the Internet of Things when they are embedded with software, sensors, other networking requirements and then connected to the Internet and each other. Now your car or watch is not just an object. It can share and retrieve data with you and the other objects present in the network. How To Manage and control the IOTs? There are software available for that. But mobile Apps will provide you the utmost convenience and luxury of accessing these things from anywhere. Forgot to turn off your Air Cooler before leaving your house? No Worries. Just Pick up your phone-a few taps here and there-and you are good to go. Mobile IOT Apps act as remote controls with no maximum signal range. Want to make this already excellent technology more impressive? Then go on and experiment with combining Blockchain and IOT. So what exactly does Blockchain has in store for the IoT space? With such a vast network containing hundreds and thousands of devices linked together, there is always a fear of it being Hacked and penetrated by frauds. Imagine your car being stolen or worse being used for some illegal endeavor. All this by someone directly hacking into your IOT network. What a nightmare that would be! So, A blockchain ledger will add that extra layer of Security to the IOT Network. It will also, of course, reduce the overall cost and speed up the process-All due to the absence of middlemen. Emerging Startups: IOTChain and WantonChain. With IOTs gaining Popularity and making our Lives easier, we are advancing into an automated world. But not without leaving Blockchain Behind. Many Entrepreneurs are looking into creating Blockchain integrated IOT Mobile Apps that will add value to their user’s lives. Supply Chain Management refers to the planning and management of the flow of a product. Starting right from the phases of acquiring the raw materials to its distribution to the final customer. It involves real-time supervision of all the activities to maximize Customer satisfaction and gain a competitive edge. A business that relies on the movement of Products and goods from one point to the other can crumble down from a single failure at any aspect of the whole Process Chain. A lot of Apps have already been established to make this process flow smoothly and keep the merchants updated with real-time information about their product’s whereabouts. How can Blockchain Upgrade such Apps and the overall Supply Chain Management process? Increase Data Visibility: One of the most awe-mazing benefits of Blockchain is Data Transparency. All the users connected to the Blockchain Network can assess and see all the happenings in the Supply Chain. Companies can easily share updates with manufacturers, suppliers, and vendors. Increased visibility can help to reduce disputes and delays. It will also lead to less percentage of products being misplaced or tempered with. Scalability: By scalability, I mean that huge folds of Data can be accessed by a large number of people from anywhere in the world. Increased Security: The data that is stored in the Blockchain Network cannot be altered or hacked in. With such amazing benefits, deciding to create a Blockchain app is not a bad idea. Right? Many entrepreneurs and startups are inclining towards exploring the field of Cloud Computing. Are based upon a centralized Network and hence comes with its Limitations. But the future of Cloud Computing is Blockchain based Decentralized Network. And some startup companies such as Stroj and Sia have already adopted Blockchain to provide their users with secured, affordable and fast cloud storage. The Start up “Sia” has also launched its own mobile App. What happens when Blockchain meets Cloud Storage? In a decentralized network, your data is not controlled by a Third Party. Instead, fragments of your files are distributed among various nodes in the system. These files are encrypted with a private key meaning that it is impossible for the nodes to look at your data. Blockchain-based Cloud Storage costs much lower than the centralized ones. Currently, Decentralized Cloud Computing costs $2 per terabyte/month which I must remind you is much lower than Amazon S3’s. Decentralized Cloud Storage prevents File loss through repetition of Data. No Central authority means no wastage of time in accessing and seeking Permissions from a Third Party. One of the outstanding use cases of Blockchain Cloud Storage is Medical Record Management. A person’s Health record is one of his most sensitive personal information. Would you like it if information about your health conditions were to get disclosed? It is becoming progressively difficult to provide a secure and safe space for Recording and Managing Patient’s Medical Data. A Blockchain Ledger will not only provide a space for recording tons of Medical Information but will also guarantee the security of that Data. Your Doctor and your Health Insurance Provider can easily access your medical information after getting your Permission to do so. This will lead to a steep decline in the rate of incorrect treatments by Medical Professionals since every single information about your Health, Your Family History, Your treatments, etc. will be recorded in the Blockchain. Many entrepreneurs are involved with Startups that provide platforms to manage Electronic Medical Data. The MyClinic App is available in the Apple App store. This App will Facilitate Secure Cross border consultation with their Doctors by utilizing MedicalChain’s Blockchain technology. While MintHealth is still yet to launch its own App. Now Bodyo, healthcare start up is also taking another unique blockchain based initiative. It incorporates AI and Blockchain to set up Unique Health Pods that will help people to monitor their Blood Pressure, Heart rate, Height, Weight, Muscle Mass, and other such Health-related aspects. You can surely fire up your mind and come up with New and Interesting ways to bring together Blockchain and Healthcare into one influential App. And hiring a specialist Blockchain application development company is the first stepping stone to achieve such heights. The most prized possession of an individual or any organization is their Identity. And with Digitization of every single aspect of our lives, Digital Identity stands out to be an essential component. But do you think that with Digital Identities, our personal information are secure from the hands of lurking Hackers and Fraudsters? Well Yes, but not Always. They somehow manage to come up with new ways to gain access to sensitive personal information and use it for their selfish gains. With Blockchains Decentralized Ledger, your identity is not only secured, but it is also in your own hands. What do you do when you open up a new website? Sign up with your personal information. Is it? Then you generate a password which will just make you assume that your information is protected. But that’s just an illusion. There’s a central node which holds all the personal data of every user. This makes your Identity vulnerable to being exposed and misused. A Blockchain Ledger contains no central authority- You and only you are in charge of your Data. And If someone wants access to your information, they must first get your permission. Entrepreneurs are now adopting Blockchain to Create Apps that can validate a user’s identity securely and efficiently. And there are also many Blockchain app development services providing the company that is ready to collaborate with these Entrepreneurs and make their dream come true. One such example is the App ShoBadge powered by the company ShoCard. So, although this sector of Blockchain Application is yet to bloom, it holds excellent promises of a bright future in the Mobile App Development Space. When you create something- Be it a picture, software or a piece of writing, you desire that piece of art to belong to you. But with the internet at people’s fingertips, your Intellectual Property gets juggled all around the web. Which makes it almost impossible to establish proof of ownership over it. But Blockchain has emerged out to be a boon for creators, especially the small and low scale artists. Wondering How in the world does Blockchain fit into all this? Once some information has been recorded in the Blockchain Ledger it gets permanently documented with a Timestamp. That is, the record becomes immutable. Anyone including yourself can easily Track/verify ownership Details and the time of its creation. Another great benefit is the low expenditure. Big scale companies have the luxury of Hiring Costly Lawyers to defend their Intellectual Property. But sadly for the general crowd, there’s no cost-effective way to establish ownership over their creations. Blockchain empowered Apps can help overcome this problem. Various Entrepreneurs have come up with platforms to help Creators copyright their Creations without much Haste. And Proofstack is one mentionable App among them. It is a globally recognized Web and Mobile Platform that allows its uses to protect their copyrights with Legal obligations. 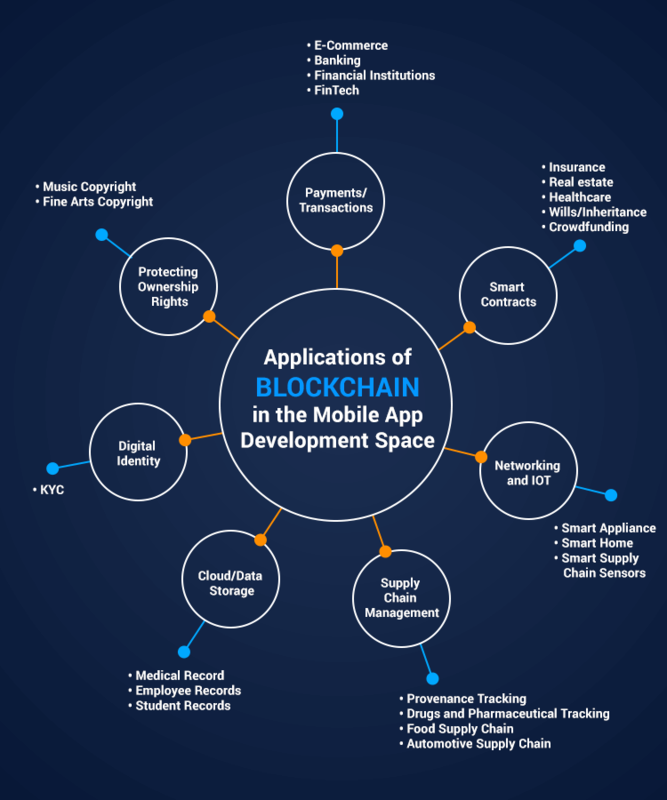 The Applications mentioned above are just a few of the Many Ways that you can Bring together Blockchain and Mobile Apps to the same platform. It is only evident that Blockchain and Mobile Enthusiasts will be motivated to come up with Creative and Ingenious ideas for Creating Blockchain Driven Applications. How to develop Blockchain based Mobile Apps? Using Blockchain Technology Development as the platform for Creating Mobile Apps is no child’s play. Blockchain network and the different Platforms- which I will be discussing in the later sections Below. You should also have access to proficient Blockchain developer who is well versed with the programming languages required for Mobile App related Blockchain Development. It will be wise to reach out to Mobile App Development Companies that will bring your Blockchain Technology powered App into life! It is also equally essential for you to be familiar with the fundamental steps of Blockchain Development before contacting any Mobile App based Blockchain Development Company. This will make it easier for you to coordinate with the Blockchain Application Development Company and Blockchain app developer. Identifying and figuring out whether your App requires collaboration with Blockchain. I agree that Blockchain is a trendsetter of the 21st century. But that doesn’t mean that you should just blindly follow the crowd. Choosing to create a Blockchain App requires a lot of planning and plotting. Examine if you possess the required resources and internal capabilities. Are the analysis results in favor of Blockchain? There are 3 different types of Blockchain Network that you must choose from to build your App. 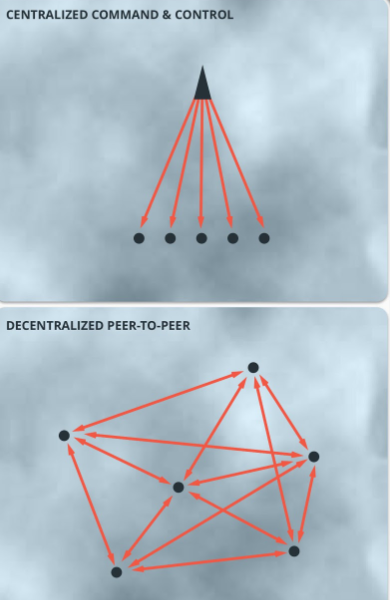 Also known synonymously as Permissionless Blockchain, here the whole network is publicly available to all the connected nodes or computers. The Network Database can be accessed by anyone and everyone. No single entity is in charge of the networks, and all the nodes can write, read or audit the Blockchain. This is also called as Permissioned Blockchain. And as the name suggests, only authorized participants are allowed to act on the Blockchain. Not all participant can mine or make transactions in this network. This type of Blockchain is mostly beneficial to centralized organizations and is used for their own internal benefits. It is a combination of both Private and Public Blockchain network. Here instead of a single centralized organization, a group of companies or individuals come together in a single network to take actions and make decisions. Based on your App’s needs and requirements you need to select the suitable network for Blockchain development and then proceed to the next step. All the Companies developing Blockchain Mobile Apps are required to choose one Platform to build the App on. And there a total of 25 such Platforms to select from. All 25 platforms are used for the development of different types of Blockchain Apps. The right platform for your Blockchain App development process will solely depend on the needs & requirements of your App. This is an open source and public platform. And Because of its flexibility and adaptability-Ethereum is mostly the first Choice of a Mobile App Oriented Blockchain Development Company. This platform is used to facilitate Smart Contracts into Mobile Apps. It is a platform that provides a blockchain developer the freedom to create and deploy private Blockchain Networks. This Private Blockchain can be used within one organization or among multiple organizations. This is also an open source platform that allows for advanced blockchain Solutions such as Creating Mobile App for IOT, Blockchain based applications for Supply Chain Management. 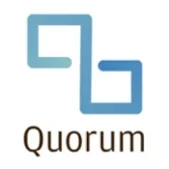 An open source platform, Quorum is closely related to Ethereum and is a creation of J.P Morgan. It allows for custom modification following the requirement of the company and supports the public as well as private Transactions. It also supports Smart contracts. Before choosing Platform, you need to consider plus points and the Negative aspects of all the 25 Platforms. And then fix upon the optimum Platform for Developing your App. A Blockchain App development services providing company can certainly help you with it. All the transactions that take place over the blockchain are validated and confirmed by a mutual consensus mechanism among the nodes. Now you have to choose an efficient Consensus method complying to your App’s requirements. For example– Bitcoin uses Proof Of Work(POF) as its consensus mechanism. Once you have made the appropriate decisions for the above steps, all that is left now is to Code your App. Various programming languages can be used for writing the code of Blockchain Mobile App. Simplicity: It is a language that can be used for coding Smart Contracts in Blockchain Apps. It is very easy to use and is a better version of Cryptocurrency languages such as Ethereum Virtual Machine(EVM) and Bitcoin script. Solidity: This language targets the EVM and is mainly used for writing Smart Contracts. So a Blockchain developer is required to have a sound knowledge about these languages. You need to shake hands with one of the Companies Developing Blockchain based Mobile solutions and develop your own Blockchain based Applications. Also Here’s a Quick Reference for anyone keen to know –How To Become A Blockchain Developer. One can see why Blockchain has been and continues to be in the spotlight of Companies Developing Blockchain based Mobile Apps. The rise of the Blockchain Millenium has bought with it the endless possibility of Creating Top Notch Next Generation Apps. These will provide your Consumers with the ultimate User satisfaction and the bonus of Ultra Secure Mobile App Data. But it is essential to keep in mind that Developing a Blockchain based Mobile App is not always all roses and sunshine. As with most of the state of the art technologies, you are bound to face complications and challenges- Especially in the phases of Testing and Debugging your App. But that is no reason to limit yourself from relishing the benefits of this New-Age Technology called Blockchain app Development. In fact, there are many Business Enthusiasts and Blockchain Technology Development Companies who firmly believe that the future belongs to Blockchain Technology. And is all set to revolutionize the Mobile App Development Space like never before. Yes, It is still in its infancy stage and is yet to flourish. But would you instead not take the plunge as soon as possible-When it’s still Fresh in the Market. Won’t it be better to get associated with a Blockchain app development company or a Blockchain app developer when it is in its trending phase? Do Share your views on the Blog in the Comment Section Below. The Age of Blockchain is here, and it is here to stay! So are you up for the challenge of adopting innovations and Opportunities of Implementing Blockchain into your Next Mobile App based Business? Shishir Dubey is the founder and CEO of ChromeInfotech, making mobile apps affordable and simple for small and enterprise businesses. I have been a technology geek since school days and was always busy experimenting with new technologies which later turned into my passion. With the start of Mobile Apps era, I decided to start an organization which can design and develop mobile apps as per recent technology trends and offers most innovative and stylish solutions to people around the world. In this journey, I have been working as a brain behind some of the successful projects which got Million $ Funding. I helped them in designing the architecture of their apps in scalable manner. Thanks for sharing Interesting blog.